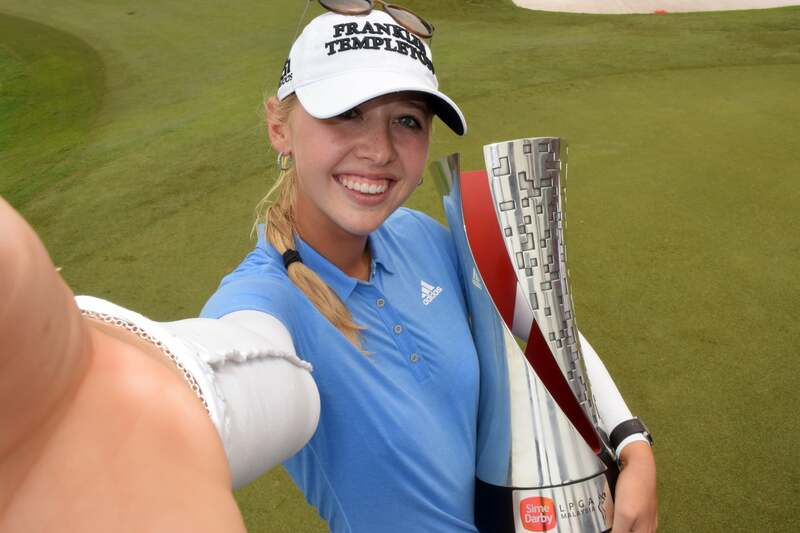 Jessica Korda shot a final-round 65 to win the LPGA Malaysia at Kuala Lumpur Golf & Country Club on Oct. 11, 2015, in Kuala Lumpur, Malaysia. KUALA LUMPUR, Malaysia (AP) Jessica Korda won the LPGA Malaysia on Sunday for her fourth tour title, closing with a 6-under 65 in sweltering conditions at Kuala Lumpur Golf and Country Club for a four-stroke victory. After winning twice last season, the 22-year-old American entered the week with only one top-10 finish this year, a tie for second in January in Florida in the season-opening event. She made five birdies in a seven-hole stretch that ended on the 10th, dropped a stroke on the par-4 11th and sealed it with birdies on the par-3 15th and 17th. Second-ranked Lydia Ko, No. 3 Stacy Lewis and 2014 winner Shanshan Feng tied for second. She cried on the 18th green after her final putt. The long-hitter failed to qualify for the Solheim Cup team and was passed over as a captain's pick. Korda finished at 18-under 266 and earned $300,000. She opened with rounds of 69, 67 and 65 to take a two-stroke lead into the final day. The weekend 65s are her two best scores this year. Korda's father, Petr, won the 1998 Australian Open tennis tournament. Ko finished with a 66. The 18-year-old New Zealander was coming off consecutive victories in Canada and France, where she became the youngest major champion. Feng also had a 66, and Lewis shot 67. ''I think I did a lot of good stuff this week and a lot of good things to build on,'' Lewis said. The event was the first of five straight in Asia. The LPGA KEB Hana Bank Championship is next week in South Korea, followed by stops in Taiwan, China and Japan.